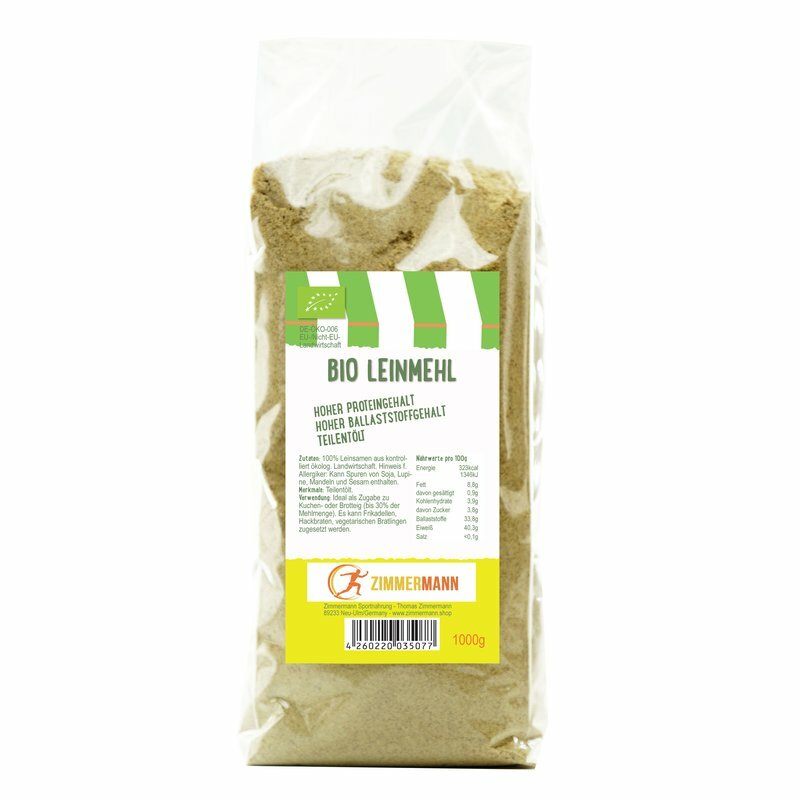 Organic Flax seed Flour 1000g from Zimmermann Sportnahrung. High Protein Content - High Fiber Content. 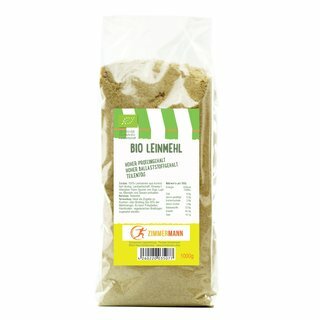 Ingredients: 100% flaxseed from organic farming. Note f. Allergic: May contain traces of lupine, almonds and sesame. - EC BIO quality without additives. Guaranteed pesticide- and GMO-free.